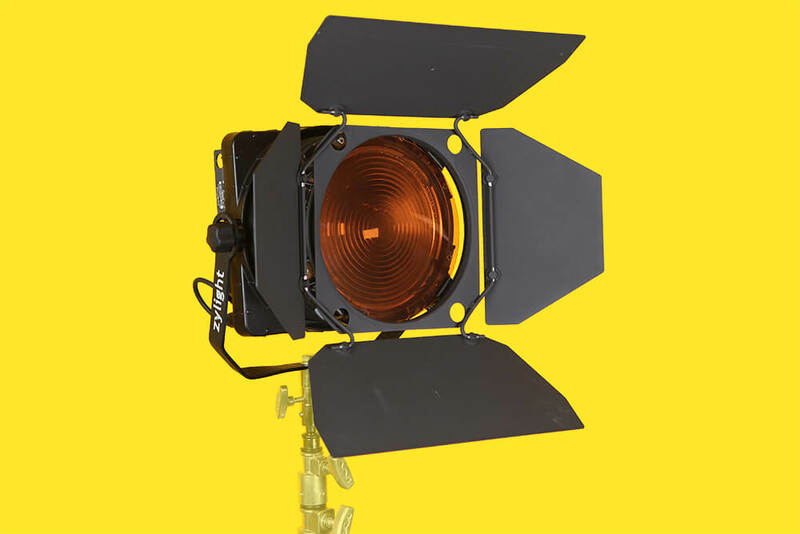 All the hallmarks of a traditional Fresnel light are present in the Zylight F8: a single shadow beam shaping through barn doors, continuous focusing and a smooth light field. On top of this, the Zylight F8 adds wireless and DMX control, a water-resistant IP54 rating, and very rugged construction for field reliability. The Zylight can be powered by either a worldwide AC power adapter or a standard 14.4V camera battery for complete portability. Its thin design and shape allow it to pack into small cases and be taken anywhere and the water-resistant IP54 rating ensures the F8 will be comfortable in falling rain or snow, and blowing dirt and dust. Whether you’re shooting a stand-up in a hurricane or snow storm, the F8 will deliver bright light with ease. In the studio, all functionality of the Zylight F8 can be controlled via DMX or remotely via the built-in ZyLink wireless link. Local control such as dimming, focus and wireless operation are provided on the rear of the F8. The yoke mount allows for easy panning and tilting for quick focusing and the F8’s silent operation means it can run in a studio setting without disruption of audio recording or talent distraction. The F8’s advanced ultra-bright LED module ensures excellent skin tones and rich, accurate colour rendition at a high CRI 95+. Continual focusing and an adjustable beam spread between 16-70 degrees allows for even coverage when shooting with wide-angle lenses or an HD 16×9 format. 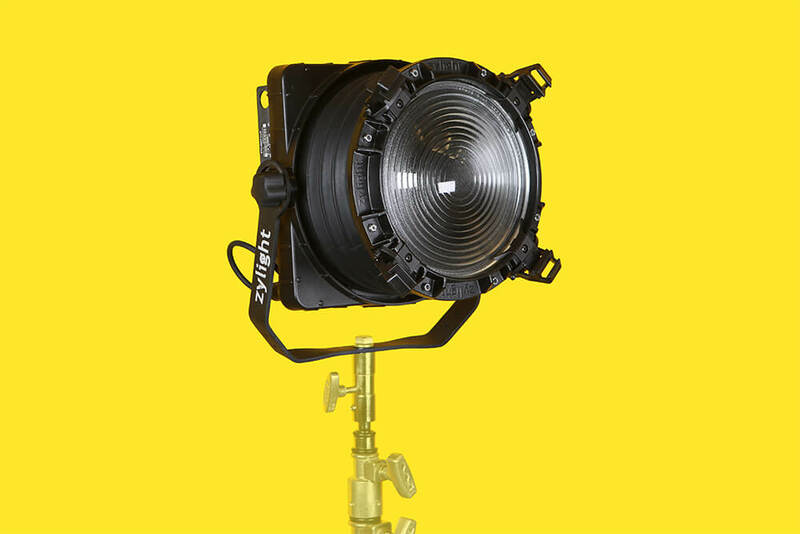 The F8 uses a high-quality 8″ Fresnel lens and has an equivalent output of a traditional 1,000W lamp. Additionally, add our Zylight filter kit to change the colour temperature. The filter kit contains: Full CTO, 3/4 CTO, 1/2 CTO, 1/8 CTO, White Diffusion and Half White Diffusion.